If you’re looking to buy a calming supplement, this is the blog for you. We know how overwhelming the choice available can be, and that’s why we’ve put together some tips to help you buy the right supplement for your needs. Do you really need one? Yes – you read that correctly! 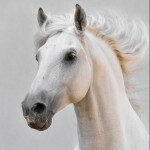 If you horse has had a sudden change in personality and has started to exhibit unusual behaviour, it might be that there’s an underlying issue that needs addressing. In this case, consult a relevant professional first. Why are you using it? Identify the issue you’re hoping to address. Does your horse get overexcited at competitions? Is it related to hormones? Does he need regular support? The type of supplement and the ingredients included in the different formulations support in different ways, so know what you’re trying to help. Look at the levels. When you have your shortlist, look at the amount of key ingredients included and compare. You’ll be amazed at the difference. Supplements with higher amounts of key ingredients can actually be much more cost effective as less is fed each day. Money back? Did you know that some supplements (like Serenity Ultra Calm + and Serenity Liquid) have a money back guarantee? This is great if you haven’t been impressed with calming supplements before. Work out the cost per day. Get an accurate idea of how much it’s going to cost you by working out the cost per day. More expensive tubs can actually be a lot more cost effective. Give it time. Most supplements take a little time to get into the system and start their work. Make sure you have a realistic idea of the timescale involved. Don’t give up. Calming supplements vary in the ingredients they contain, so if you find one product doesn’t work, look at others that use different ingredients. Read the label. If you compete, be extra careful when you read the label and make sure the supplement is free from banned substances. If you have any questions about calming supplements, why not contact us? 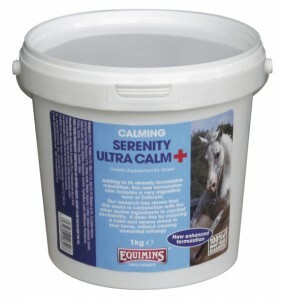 Or have a look at our full Calming range here.